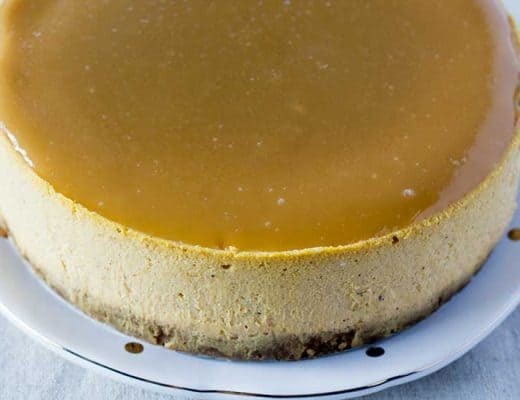 Thanks to the Instant Pot, making cheesecake has never been easier. 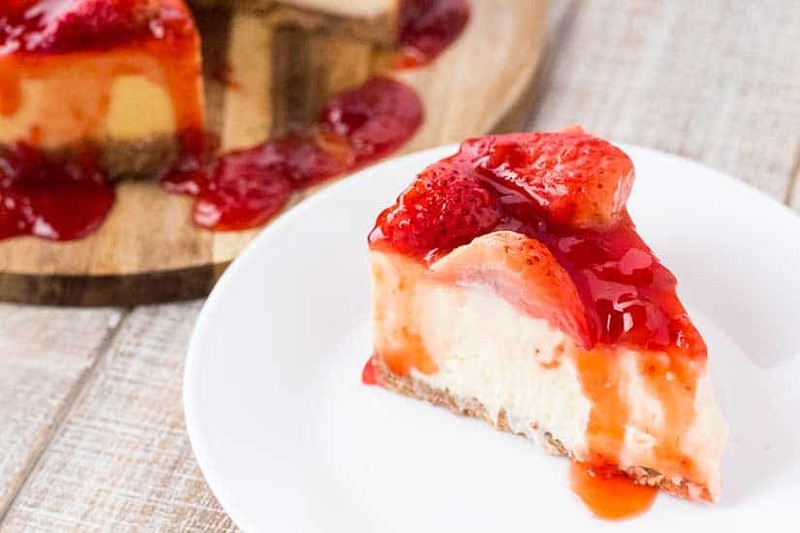 And with Valentine’s Day right around the corner, it seemed like the perfect time to whip up a new cheesecake recipe. 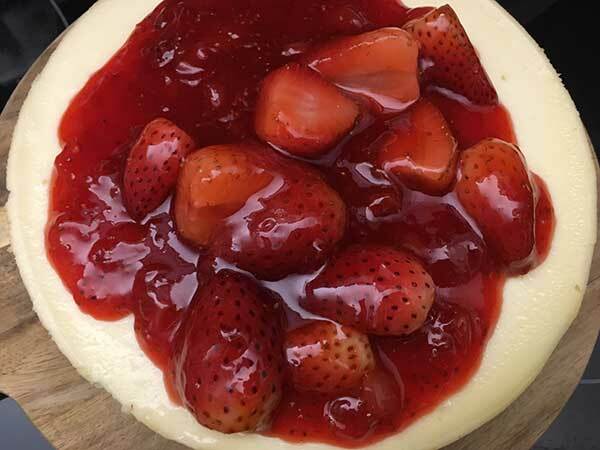 The result was this delicious white chocolate cheesecake – a creamy cheesecake with a hint of white chocolate flavor, topped with strawberry glaze made from scratch. 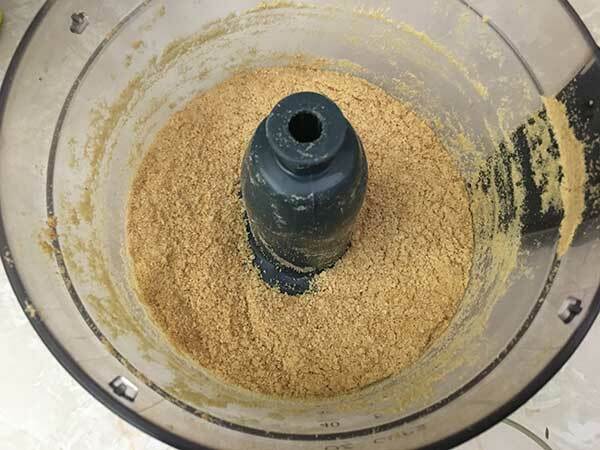 Place graham crackers in food processor and blend until fine. Or place in large zip top bag and roll with rolling pin to crush the crackers. 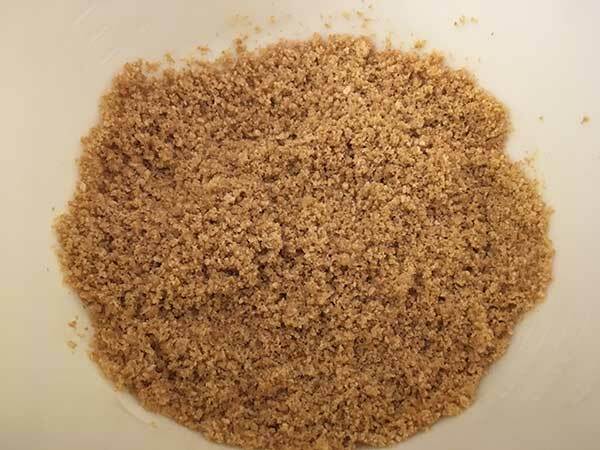 Place graham cracker crumbs in bowl and combine with melted butter. Using a fork, stir to combine well. 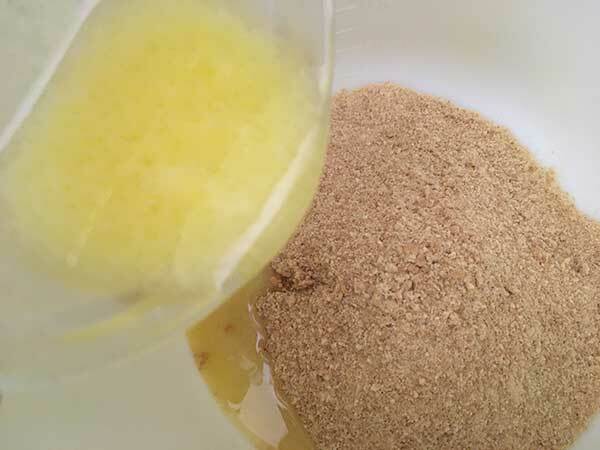 Combine cornstarch and sugar in a small bowl. 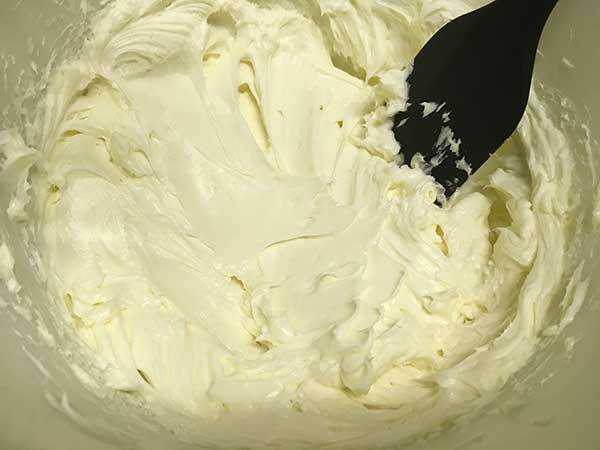 Add cream cheese, sugar, and cornstarch to a medium bowl. Beat until smooth, using a spatula to scrape down sides of bowl as you go. 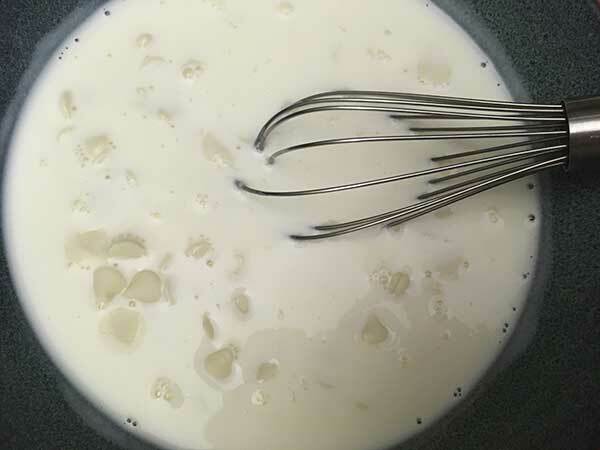 Microwave chips and heavy cream for 20-30 seconds, then whisk until completely smooth. 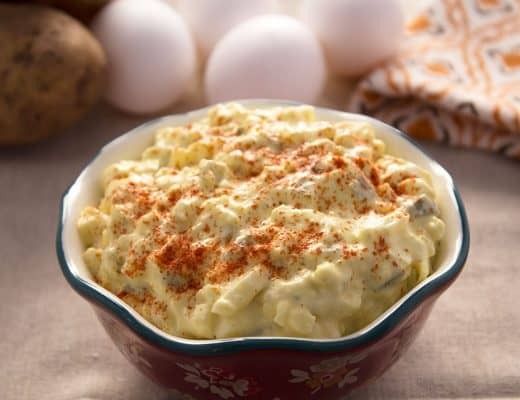 If chips are not melted after one minute of whisking, microwave for 10 second intervals, stirring in between, until smooth. The time needed will vary depending on how warm your house is, and the wattage of your microwave. In a warm house with a high wattage microwave, 20 seconds will be all you need. 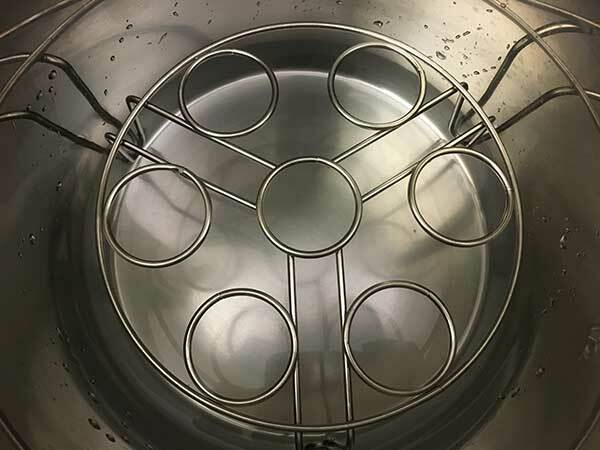 Add 1 1/2 cups water and 3-inch trivet to Instant Pot. Cover cheesecake with foil, and place on trivet. Cook for 40 minutes at high pressure, then allow a natural pressure release. Once pressure is released, turn off Instant Pot and carefully remove cheesecake. Remove foil and allow cheesecake to cool for one hour or until room temperature. Once cool, carefully run a paring knife around the edge of the cheesecake to separate from pan. 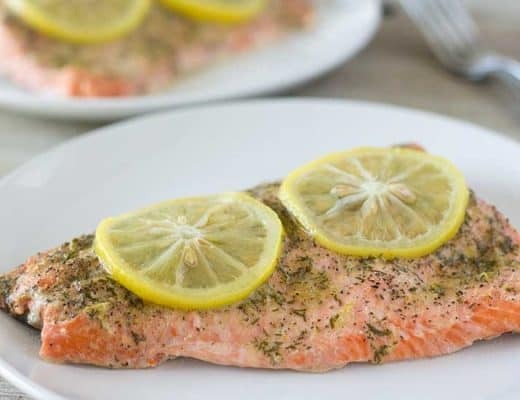 Refrigerate for at least 6 hours, preferably overnight. 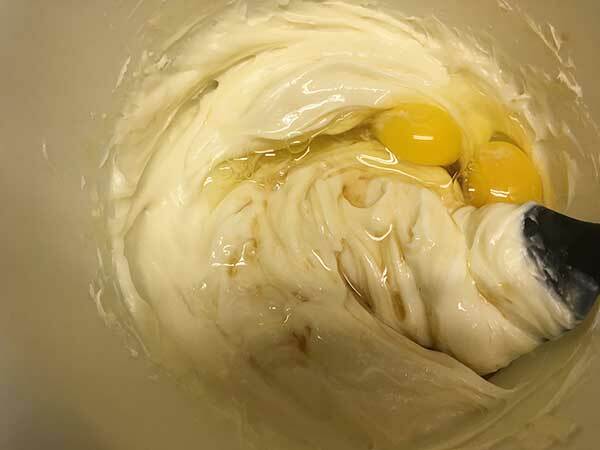 Carefully push cheesecake up from push pan by placing center of push pan on a can or glass and pushing edges down. If using springform pan, gently remove outer edge of pan. 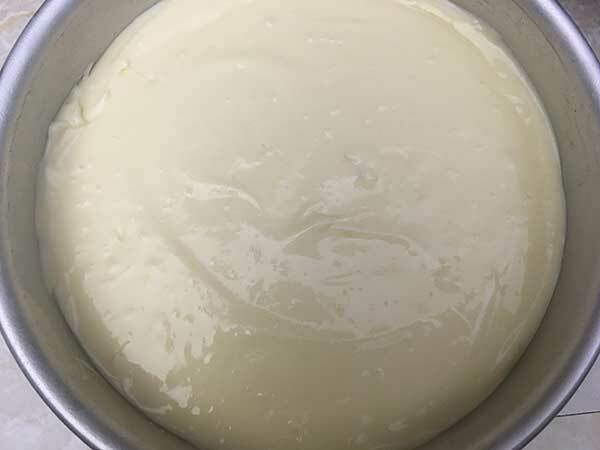 Once cheesecake is finished cooking, clean Instant Pot. 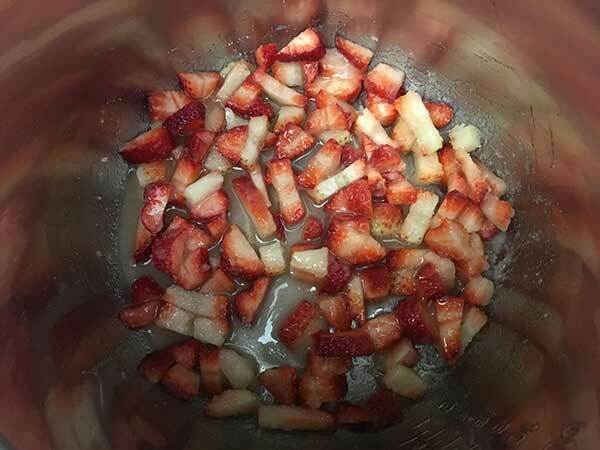 Then add strawberries, vanilla, lemon juice and sugar. Mix well, then press sauté (set to normal temp). Bring to a simmer, stirring often. 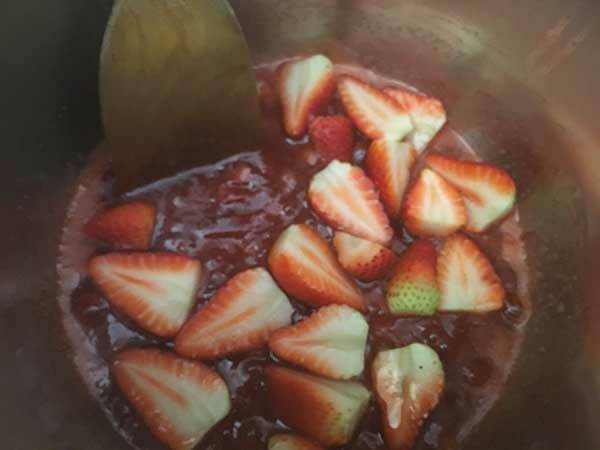 Let simmer until strawberries are almost completely broken down and sauce thickened (7 to 10 minutes). Add cornstarch slurry and stir. 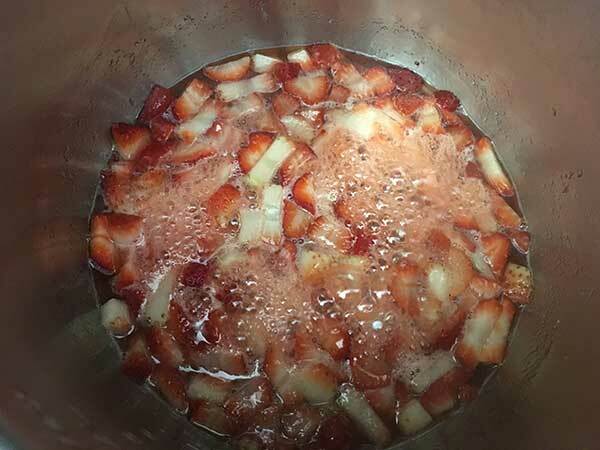 Add halved strawberries and stir. 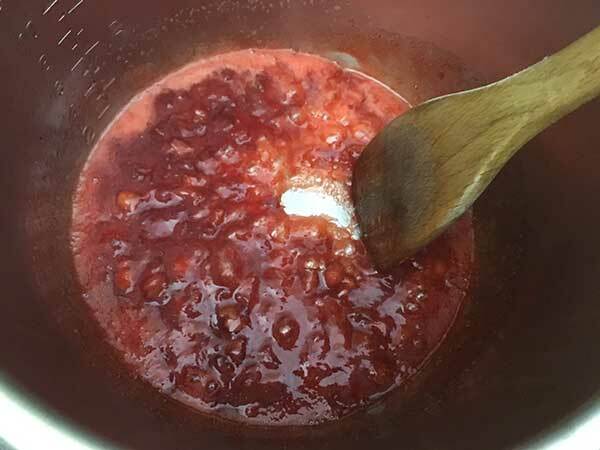 Continue to cook until strawberry halves begin to soften (about 2 minutes). 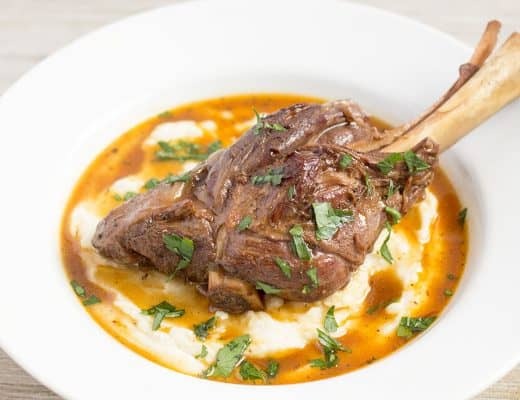 Remove inner pot from Instant Pot and allow sauce to cool completely. Once cooled, spoon sauce onto the top of cheesecake. You can put as little or as much as you want. We used it all, which resulted in sauce drizzling down the sides. 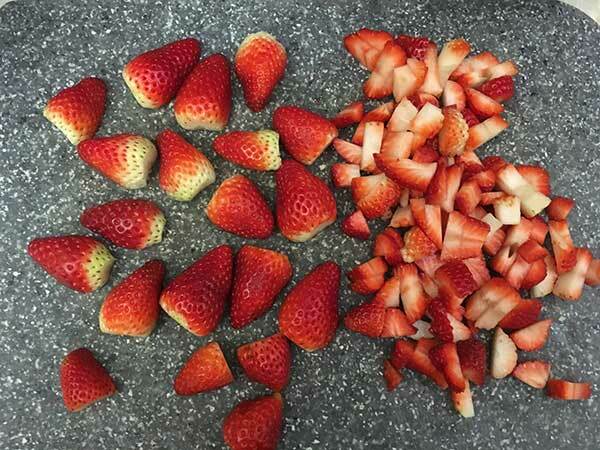 Using two forks, flip all of the halved strawberries so that the cut side faces down. 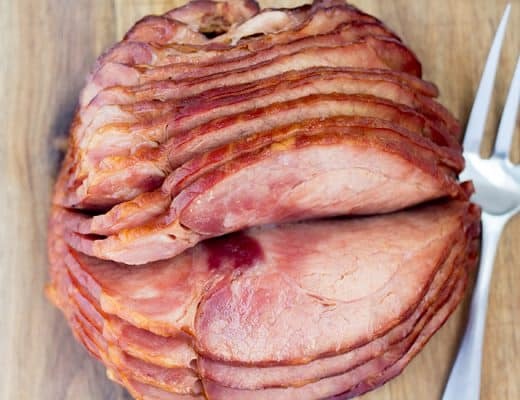 Refrigerate for at least two hours before serving. 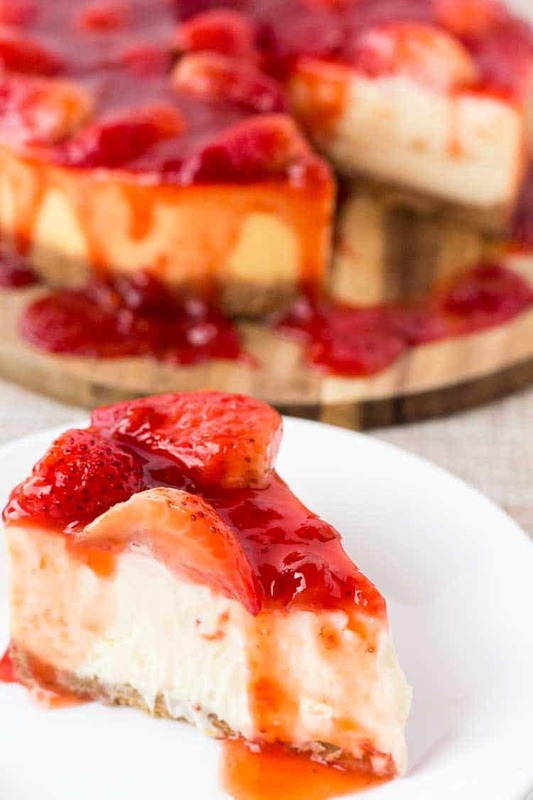 ★ Did you make this White Chocolate Strawberry Cheesecake? 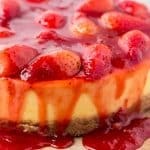 Creamy cheesecake with a hint of white chocolate, covered with a delicious strawberry sauce made from fresh strawberries. 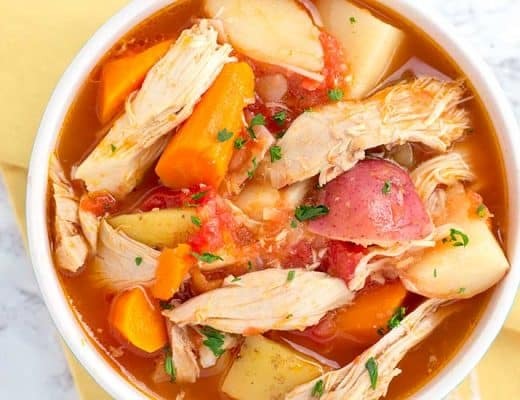 And it's all made in the Instant Pot! 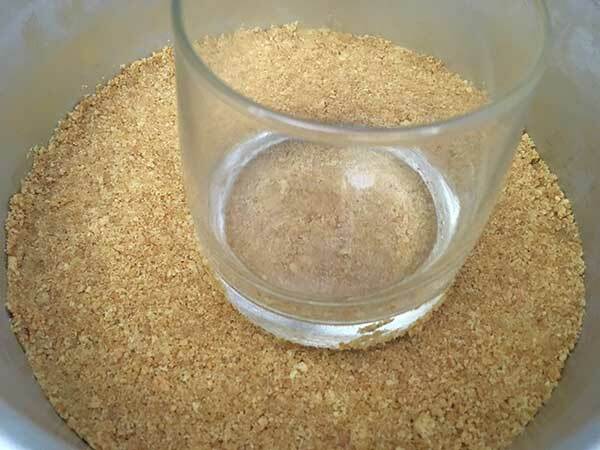 Place graham cracker crumbs in bowl and combine with melted butter. Using a fork, stir to combine well. 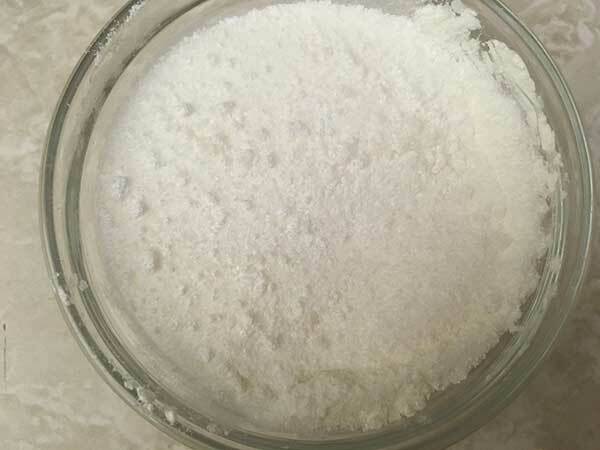 Combine cornstarch and sugar in a small bowl. 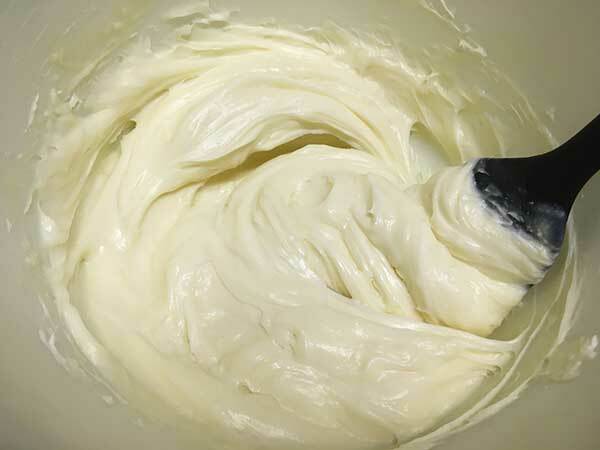 Add cream cheese, sugar, and cornstarch to a medium bowl. Beat until smooth, using a spatula to scrape down sides of bowl as you go. 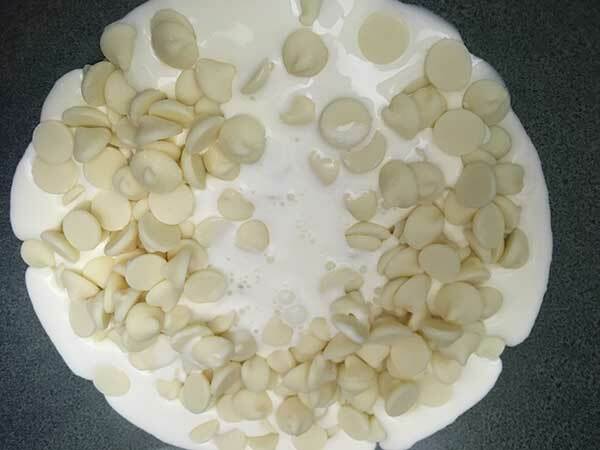 In a microwave safe bowl, combine white chocolate chips and heavy cream. 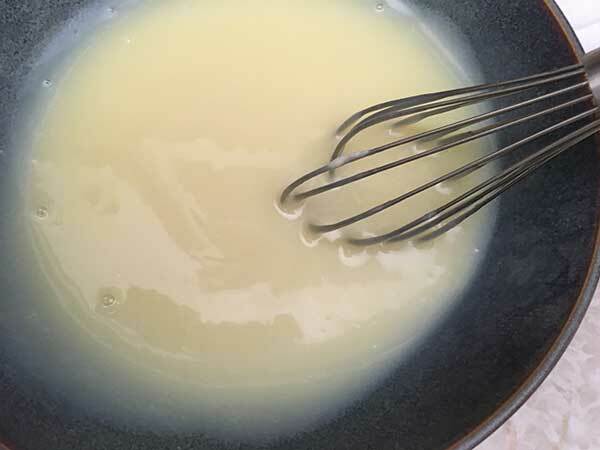 Microwave chips and heavy cream for 20-30 seconds, then whisk until completely smooth. If chips are not melted after one minute of whisking, microwave for 10 second intervals, stirring in between, until smooth. The time needed will vary depending on how warm your house is, and the wattage of your microwave. In a warm house with a high wattage microwave, 20 seconds will be all you need. 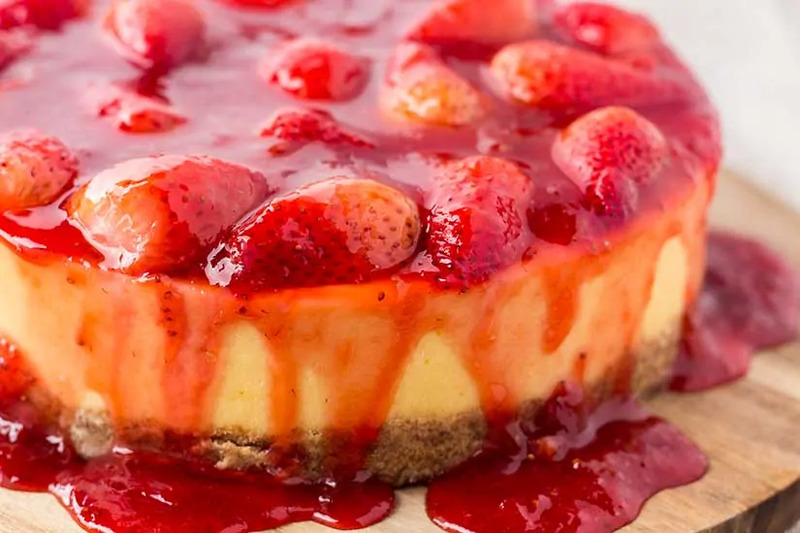 Once pressure is released, turn off Instant Pot and carefully remove cheesecake. 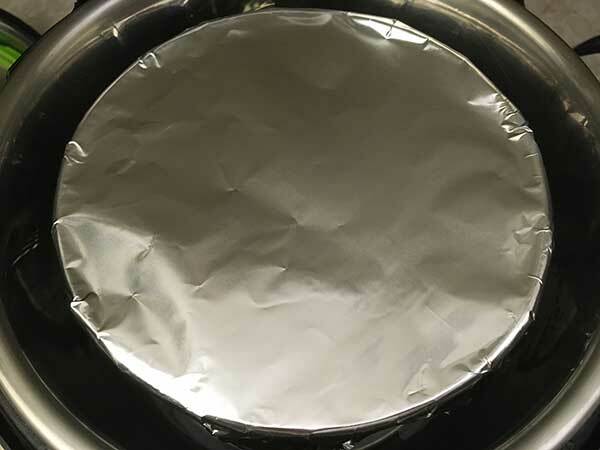 Remove foil and allow cheesecake to cool for one hour or until room temperature. Once cool, carefully run a paring knife around the edge of the cheesecake to separate from pan. 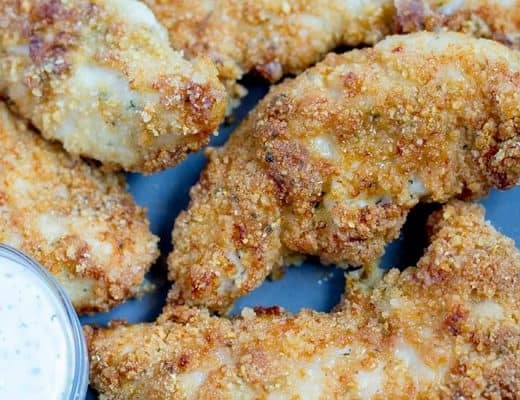 Refrigerate for at least 6 hours, preferably overnight. 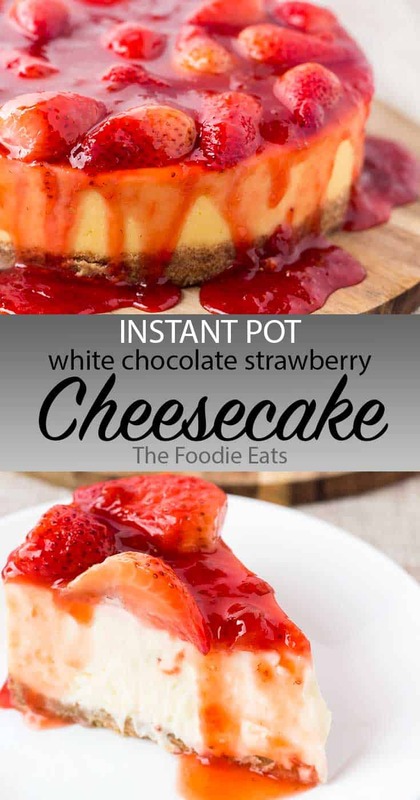 Once cheesecake is finished cooking, clean Instant Pot. 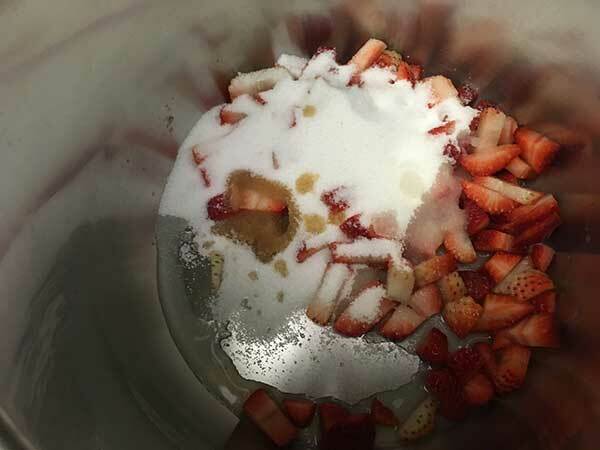 Then add strawberries, vanilla, lemon juice and sugar. Mix well, then press sauté (set to normal temp). Add cornstarch slurry (cornstarch and water mixed together) and stir. 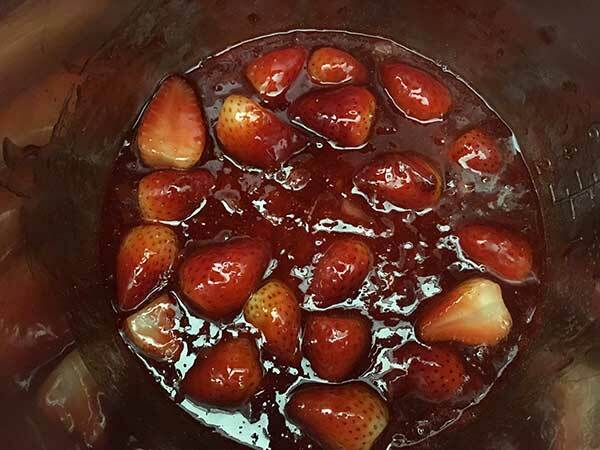 Then add halved strawberries and stir. 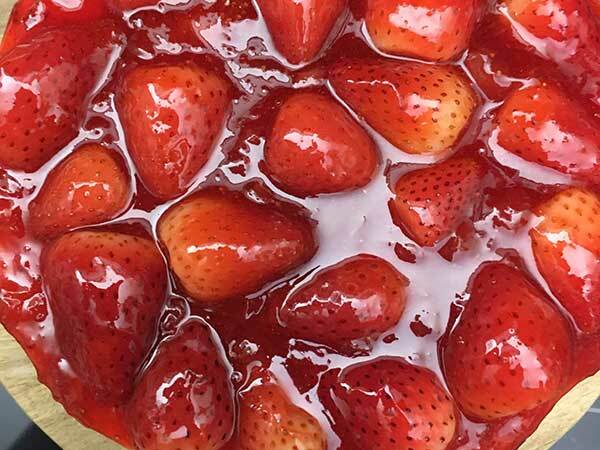 Continue to cook until strawberry halves begin to soften (about 2 minutes). Remove inner pot from Instant Pot and allow sauce to cool completely. Once cooled, spoon sauce onto the top of cheesecake. You can put as little or as much as you want. We used it all, which resulted in sauce drizzling down the sides. Using two forks, flip all of the halved strawberries so that the cut side faces down. 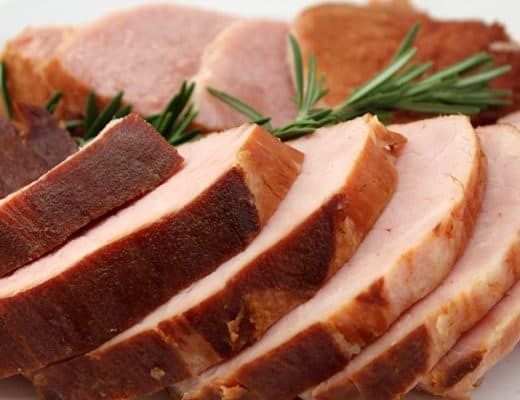 Refrigerate for at least two hours before serving.